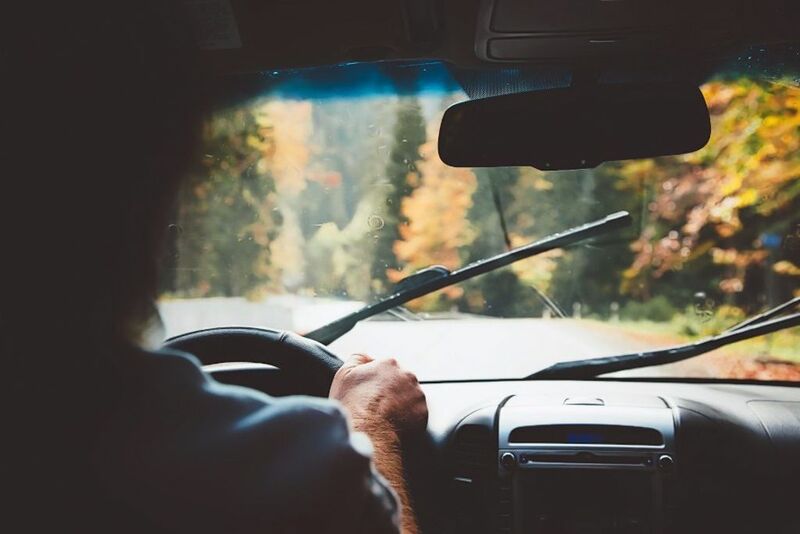 Easily clean the inside of a car windshield by using glass cleaning products and a microfiber towel, as well as other windshield cleaning tools. Cleaning the inside of your car windshield allows you to see better while driving, enhancing your safety on the road. You might wonder which cleaners work best. Luckily, you have a few options, including glass cleaner, water and vinegar, and rubbing alcohol. The following information describes the best way to clean the inside of your car window and what materials to use. Part 1 describes the best products to use to clean car glass and Part 2 explains how to clean the windshield. Part 1 of 2: What are the best products to use to clean your car windows? Window wipes: Window wipes easily clean the inside windshield of your car. The wipes represent a great medium for applying the cleaning solution they contain in an all-in-one product. Glass cleaner: Glass cleaner represents a commonly used car window cleaner. Glass cleaner in a pump or trigger spray bottle works best when sprayed onto a cloth and then wiping the window with the cloth. Glass polish: Similar to body polish applied to the exterior paintjob of a car, glass polish uses an abrasive polishing action to clean the glass of your car’s windows. Glass polish makes a great alternative to regular spray glass cleaner. Water and vinegar: A cheaper alternative to more expensive cleaners, a water and vinegar solution can keep your car’s windows clean at a fraction of the price. You might need to clean a window multiple times to avoid streaking when using a water and vinegar solution. Step 1: Wipe down the window. Start by wiping the window down with a microfiber towel to remove any caked-on substances. Step 2: Use cleaner. Follow this up by using your preferred glass cleaner to remove any remaining materials on the window’s surface. Make sure to apply the cleaner to the microfiber towel and not on the windshield surface for easier cleaning. Step 3: Degrease the glass. Use a Mr. Clean Magic Eraser saturated in warm water to remove any hard-to-remove stains on the window glass. Clean in a circular motion to help break up any grime or grease. Alternately, use rubbing alcohol, applied to a clean microfiber towel to help remove any built-up substances on the glass. Step 4: Use a reach-and-clean tool. To reach the far corners of the window, use a reach and clean tool to help make it easier. Apply cleaner to the microfiber attachment of the tool, and then use it to reach into hard-to-access areas. Step 5: Polish the glass. Use a glass polish or cleaner applied to a microfiber towel to make the window shine. Work across the windows surface in a circular motion for best effect, making sure to finish with a vertical wipe to remove any streaking. Keeping your car windows clean allows you can see more clearly for improved safety while driving. You might experience trouble when trying to clean the inside of the windshield, especially in the hard-to-reach corners. By following the steps above and using the cleaners recommended, you can clean your inside windshield quickly and easily. Clean the interior of your car by gathering trash, clearing dust, cleaning windows, vacuuming floorboards, and removing stains from seats. Clean your headlights at home with masking tape, a damp cloth, and toothpaste. Simply scrub the headlights, rinse, and wax. Knowing how to buff a car is a great way to keep the exterior of your car looking well-kept and brand new.